Ralf Kesper (Fröndenberg, Germany) on 20 November 2018 in Miscellaneous. Lol - been there, done that too! Happy S/T! Wrong clothes but right leg! To take photos entails risks ;-) happy ST ! Wrong clothing choice or wrong place. Hooo pas de chance ! Se mettre coucher par terre pour faire de la macro a des inconvénients!! Yup! Long pants, son, long pants. Ouch!! Looks like you traveled through some heavy brush!! Hopefully the leg is nicely healed. You really got scratched up! Happy ST! :-) on the ground to get a macro but the result is worth it...! In nature, wear long trousers that cover the entire legs. we must all suffer for our art. Yikes! 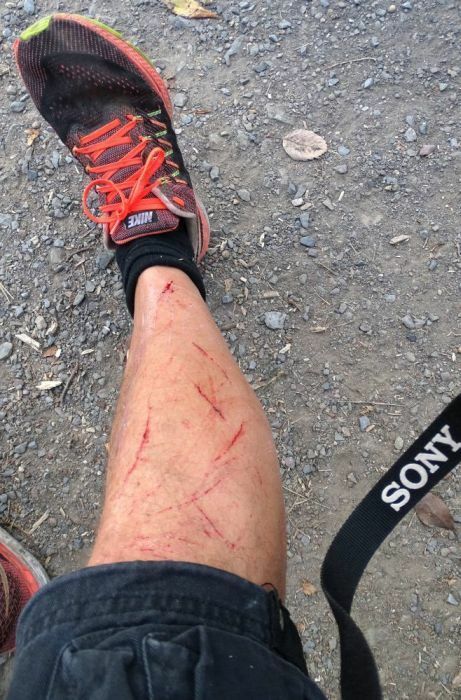 reminds me to stop wearing shorts when photographing near stinging nettles. That is not too fun. Hope the pics were worth the pain !